Elmore County Under a Flash Flood Warning until 8:15 P.M.
Elmore County EMA will test the Emergency Warning Siren System this morning! Taylor Road in Elmore County is now back OPEN. Click here for "Safer Places Program"
This website is provided as a public service and is intended for general informational purposes only. Elmore County assumes no responsibility for the use of or reliance upon any of the information contained in this website. The contents of this website are compiled from a variety of governmental departments, agencies, and other sources, and are subject to change without prior notice. 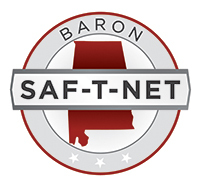 Neither Elmore County, nor the provider of this website, assumes any liability for damages or losses incurred directly or indirectly as a result of incomplete, incorrect, or omissions of information from this public service website. Elmore County assumes no responsibility and shall not be liable for any viruses that may infect your computer, or any damage to computer equipment or other property on account of access to, use of, or browsing of this site, or your downloading, uploading, or opening of any materials, data, text, images, video, or audio from this website. Elmore County does not endorse, support or otherwise promote any private or commercial entity or the information, products or services contained on those websites that may be reached through links on our website. For purposes of this disclaimer, the term Elmore County includes all County employees, agents, officials, political appointees, and volunteers. If you agree, click the I Understand link below. If you decline, click the Close button at the top-right corner. Elmore County Emergency Management Agency is providing information via this Site as a public service for general informational purposes only. Elmore County Emergency Management Agency make no claims, representations, guarantees, or warranties as to the quality, content, accuracy, completeness, currency, or suitability of the information, text, graphics, photos, links and other items provided via this Site. Such information, content, and materials are compiled from a variety of sources and are subject to change without notice as a result of updates, revisions, and corrections. Although every effort is made to insure that information provided on this Site is timely and correct, users should keep in mind that the information is provided for public convenience. Site users should verify for themselves the accuracy, completeness, currency, and/or suitability of all information for themselves. 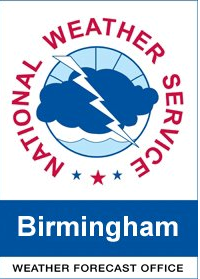 Elmore County Emergency Management Agency specifically disclaim any and all liability for any claims or damages that may result from providing this Site or the information it contains.